Getting ready for winter can mean a multitude of things. Whether you like to go shopping for the new and trendy fashions that 2016 brought, or you’re stocking up on supplies in case the power goes out, now is the best time to get items for your car you’d need in case an emergency strikes while out on the road. Now, understandably, you may not ever become a victim of an emergency here in Denver (hopefully), but you should always be prepared. It doesn’t matter if your battery reads 90 percent when you head out the door on a snowy day, plugging it into your Mini Cooper is important. Having a full battery can end up saving your life if you’re left stranded. Unfortunately, cold temperatures tend to drain the batteries of everything, including your phone (even if it was fully juiced 10 minutes prior). So, it’s important to always charge up your phone as much as possible while cruising down the road. Like we just mentioned, batteries tend to die more in the winter time rather than the summer. Cold temperatures can take the juice from your battery quickly, causing a major issue. There’s no worse time to have a dead battery than the winter, which is why it’s imperative you have jumper cables in your trunk. A nearby, good Samaritan may be your saving grace. Just be prepared, you never know when your battery will give you trouble. Flashlights may seem like a no-brainer, but it may end up saving you in the long run. 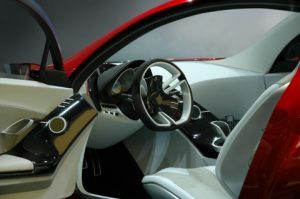 Flashlights will be able to help you out when you end up on the side of the road changing a flat tire, jump starting another car or exchanging insurance information with another person. One of the best we recommend is Maglite. These are perfect and have multiple uses. Just like a flashlight, flares will be able to provide extra light, except this type of light is to warn other drivers of your presence. The reflective triangles are also a good move to have. If you’re stuck on the side of the road because you have a flat tire or an engine problem, you’ll want other drivers to notice you as soon as possible. Flares are (in our opinion), a better option; however, reflective triangles may be used over again and will last longer. 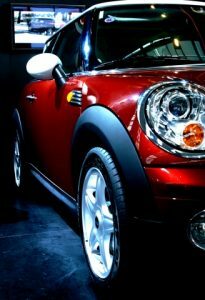 The Mini Cooper repair experts in Denver have the most reliable, expert knowledge of any German auto repair shop in the area. Stay tuned for our next blog to learn about more supplies we highly recommend you keep in the trunk of your Mini Cooper this winter. If you need an appointment for a service, give us a call or set up an appointment online now! Our repair technicians are certified and experienced in German automotive vehicles, and are more than happy to provide each and every driver in the Denver area with the services needed to get back out on the road, rain or shine.